We offer a comprehensive level of regional support for bakery equipments with a 24 hour* breakdown service, preventive maintenance, spare parts and equipment reconditioning. More services will be added soon. If you are concerned about operational reliability, but too busy to keep an eye on maintenance or service inspections, Heidi Chef Solutions technical service is what you have been looking for. We would be more than happy to help you arrange an individualized service package. Competent advice on the individual services provided to ensure smooth production. A preventive maintenance service from Heidi Chef Solutions will ensure your operation is running smoothly with minimized or no downtime, allowing your staff to focus on production while we ensure your equipment is performing at optimal condition. All technical operations performed by us are according to the equipment manufacturer instructions and recommendations. Service agreements are designed to meet your specific requirements. You decide what serves you best. The options are manifold and you can choose an individual service package or arrange service combinations for different components and different service intervals. Heidi Chef Solutions does the rest. We monitor inspection dates and make arrangements or several inspections to take place simultaneously to save you on travel costs. Original spare parts do not only ensure the reliable operation of your plant. To serve you better, we maintain extensive stocks of original spare parts for our entire product line. Dependability is now included in your cost planning and you know that you have done everything possible to ensure that your installation continues to operate day after day, year after year. Our service technicians examine your installation according to a special check list and document their results in a status report. When the assessment reveals that parts need to be replaced or some service is required to ensure production reliability, we can provide you with professional support. As we know that you want to concentrate on baking or you might have a resident technical team, we will also organize the inspections at regular intervals and prepare the time schedule in consultation with you. 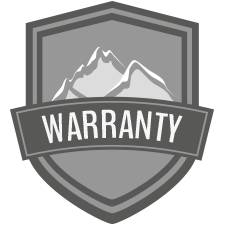 Warranty extension: Increased reliability for customers with Preventive Maintenance service. Let’s assume that you have signed a service agreement for the maintenance of your plant because you want to be sure that your bakery equipment is always in good operating order. Either upon purchase of a Heidi Chef Solutions product or after the expiration of the normal warranty, you can individually extend the warranty period. This means increased reliability and more convenience. Dependability is now included in your cost planning and you know that you have done everything possible to ensure that your installation continues to operate day after day, year after year. You also know that you have fully utilized your service agreement. It goes without saying that when you purchase a new equipment installation, our technicians are there to put it into operation. However, we also perform the recommissioning of installations after some modification or after the relocation of production. Our goal is to keep downtimes to a minimum and help you get back to baking products of the highest quality as quickly as possible. It’s very simple: If the availability of your installation is important to you and if production reliability and high quality are major concerns for you, you will agree with us that when it comes to spare parts and replacement components, there is only one choice: Original spare parts and components. Original spare parts do not only ensure the reliable operation of your plant. To serve you better, we maintain extensive stocks of original spare parts for our entire product line in a comprehensive warehouse network.  Immediate availability in conjunction with a highly efficient logistics chain guarantees speedy delivery to restore production to the level you are used to. Please bear in mind that customs and import formalities may cause delays that are beyond our control. In order to avoid any unnecessary inconvenience, we recommend the conclusion of a service agreement with a logistics concept that is tailor-made to your specific needs.